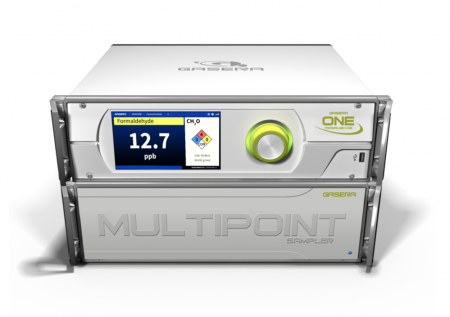 MULTIPOINT SAMPLER is designed to enable multi-channel monitoring with any GASERA ONE analyser. MULTIPOINT SAMPLER enhances the monitoring capabilities of Gasera analysers by increasing the number of sample inlets up to 12. In addition, it performs automated sampling from multiple points. Our MULTIPOINT SAMPLER is available as 19 inches rack-mounted instrument with connectors accessible from back panel. It is available in 8 and 12 sample inlets. Anesthetics: desflurane, enflurane, isoflurane, sevoflurane etc. CFCs and PFCs: CF4, C2F6, R13 , R-134a etc. Hydrocarbons: CH4, C2H2, C2H4, C2H6 etc. VOCs: acetone, benzene, ethanol, formaldehyde, methanol, toluene, xylenes etc. 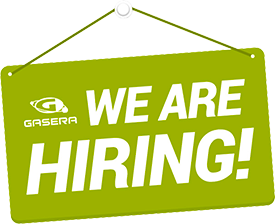 Enter your email address and we will be in touch with you as soon as possible!